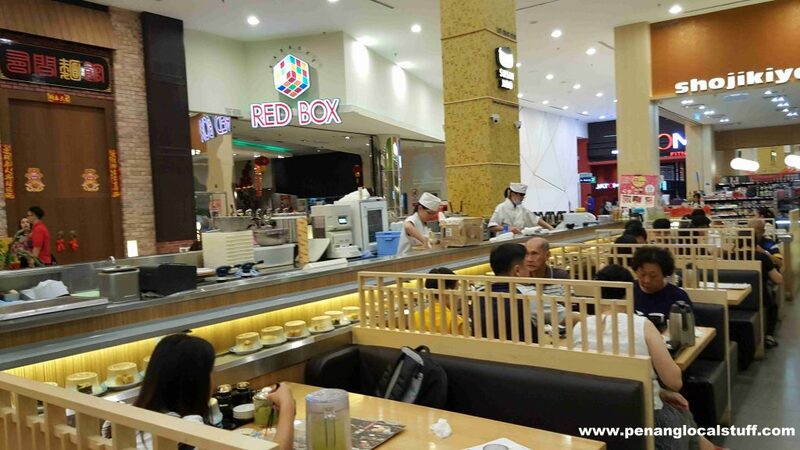 My wife and I recently had dinner at Sushi Jiro in Gurney Plaza (17 February 2018), after watching a movie at the GSC Cinema. 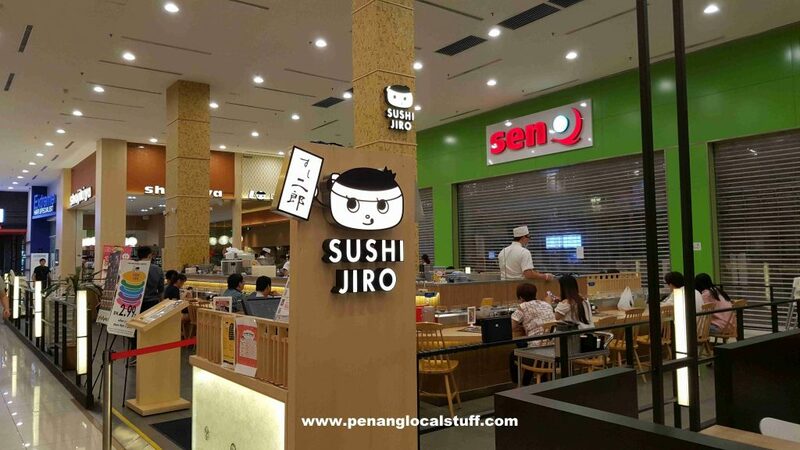 Sushi Jiro is located at an open space area near the cinema. 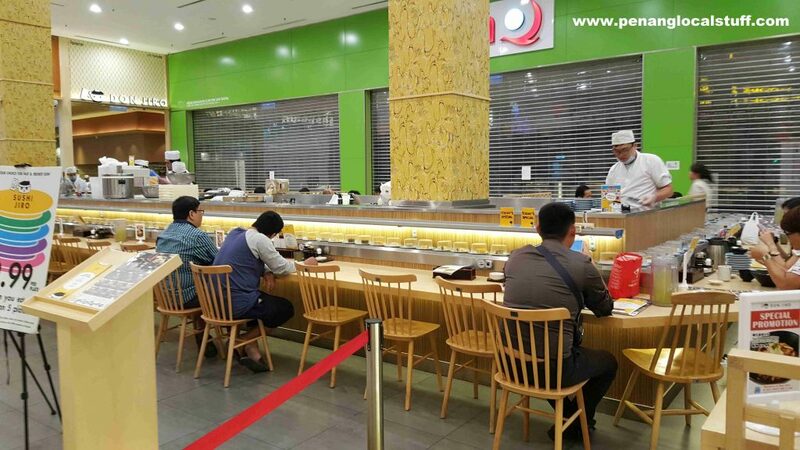 What attracted us to dine here was the RM2.99/plate sushi promotion, for a minimum of 5 plates and above. We ordered some sushi, and also a saba shioyaki set (grilled mackerel set with rice, steamed eggs and soup). 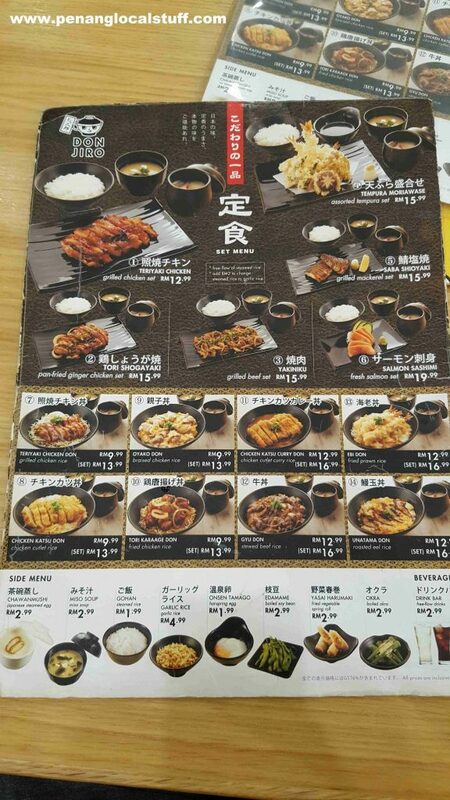 It appears that the grilled mackerel set that we ordered are from the Don Jiro restaurant menu. The Don Jiro restaurant is located nearby. I figured that both Sushi Jiro and Don Jiro are operated by the same company. I think the food at Sushi Jiro was OK – smaller portion, but at a lower price than most Japanese restaurants. However, I don’t feel too comfortable dining at the open space area, where many people were walking by and can see what we were eating. 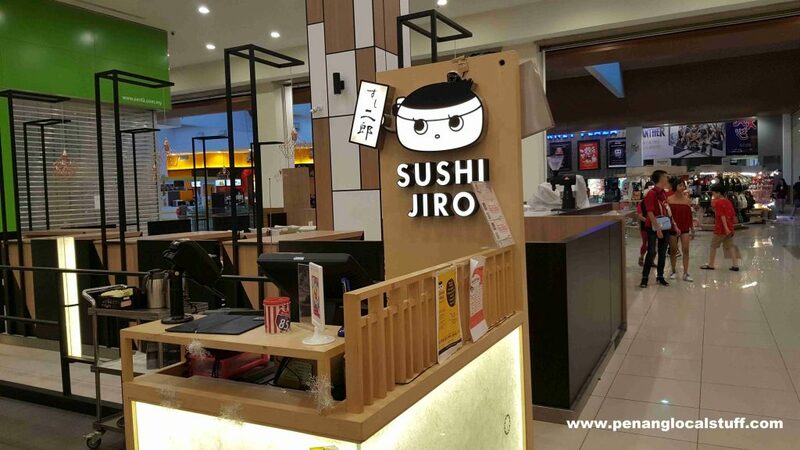 Overall, if you want to have Japanese food at a lower price (but smaller portion too), then Sushi Jiro & Don Jiro can be an option. 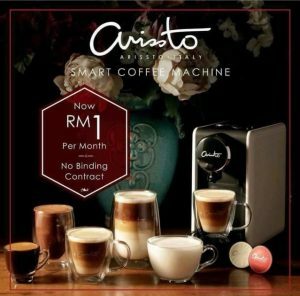 Do not expect much in terms of environment, and the service from the staff is quite average, in my opinion.